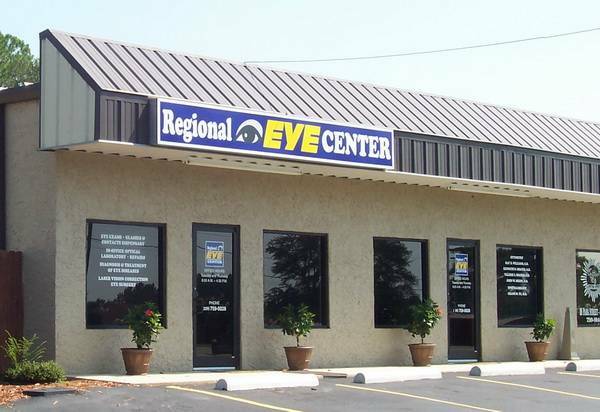 Whether you are looking for a comprehensive eye exam, new glasses or contacts, our regional eye center is ready to serve you! Great care from the time I walk in the front door until I leave! I would recommend others to the practice. I recommend you to everyone I know! ALWAYS a pleasure coming here!! We bring over 100 years of combined experience, combining state-of-the-art technology and surgical techniques with a home-town personal touch. 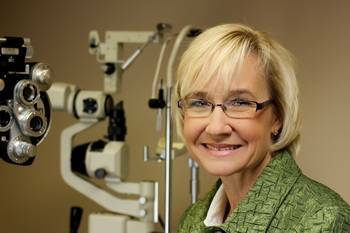 Our most important goal is to ensure that our patients receive the best eye care possible. At our Leesburg office, you will receive the highest quality eye care and eyewear for patients of all ages. From eye exams and contact lens fittings to laser vision correction and corneal mapping, the eye doctors at Regional Eye Center in Leesburg, provide comprehensive eye care to patients of all ages. We also treat a range of conditions such as glaucoma, the diabetic eye, dry eye and macular degeneration. The American Academy Of Optometry recommends scheduling a kids eye exam at 6 months, 3 years when entering first grade and then every after if they wear glasses or every other year if they do not. For adult patients, a yearly eye exam is recommended if you wear glasses, a bi-annual eye exam is recommended if you do not. Furthermore, patients with Diabetes, family history of vision loss, over 65, or who are at higher risk such as smokers, should have a yearly comprehensive eye exam. At our Leesburg office, we offer a wide range of eye care services from yearly eye exams for kids and adults, to more complex medical eye care. Specialized glaucoma testing involves more than just measuring the eye pressure. 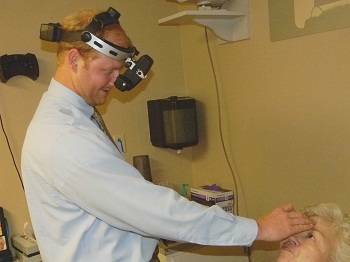 These special tests allow our doctors to monitor the health of the optic nerves as well as progression of disease. Low vision describes a set of conditions in which there is significant visual impairment which can not be corrected with traditional means such as glasses, contact lenses, medication or eye surgery. Watch our educational videos on everything you ever wanted to learn about your Eye Health. As well, we have included a large Kids section with videos, Eye-Q quizzes, and games. Why Choose Lessburg Vision Center ? ✔ Our staff are trained to help you with your long term eye care goals- to help your eye health in the long run, while helping you meet your needs today. ✔ We use the most advanced equipment available today to give you the most thorough and in-depth eye exam possible. ✔ We have the widest selection of popular frames and eye wear for you to choose from. ✔ You don't need to travel to find professional service- it's right here in Americus vision Center ! What eyewear is trending now? Our Americus Vision Center is conveniently located near Georgia Southwestern State University, allowing us to provide eye care services for University students. If you are at Southwestern, call our office to find out what your student insurance plan covers. For eye exams, designer eyewear or new contact lenses, our optometrist provide students with great service.